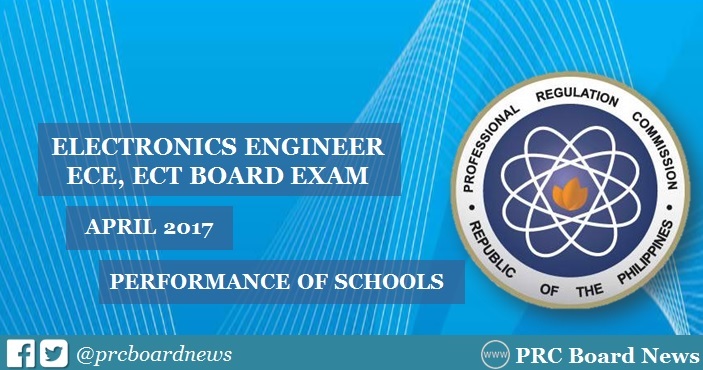 MANILA, Philippines - The Professional Regulation Commission (PRC) announced on Friday, April 7, those who have passed the Electronics Engineer (ECE) and Electronics Technician (ECT) Licensure Examination given by the Board of Electronics Engineering (BEE) in the cities of Manila, Baguio, Cebu and Davao this April 2017. The results are released in three (3) working days after the last day of examinations. PRC has recognized Mindanao State University (MSU) - Iligan Institute of Technology as the top performing school in the April 2017 ECE board exam as per Commission Resolution No. 2010-547 series of 2010: WITH 25 OR MORE EXAMINEES AND WITH AT LEAST 80% PASSING PERCENTAGE. University of the Philippines (UP) - Diliman is consistently topping the ECE board exam in the past two years. However, none of the schools qualified in the top performing list in the April 2015 exam. For ECT, Mapua Institute of Technology (MIT) - Manila was hailed as the top performing school for April 2016 exams. De La Salle University (DLSU)-Manila was the leading school for April 2015 examination.